The master plan for this 170-acre office park was based on the client's desire to preserve the natural beauty of the property and provide a dynamic work environment for their employees. Large outdoor sculptures, integrated into the landscape, provide a sophisticated corporate campus image. 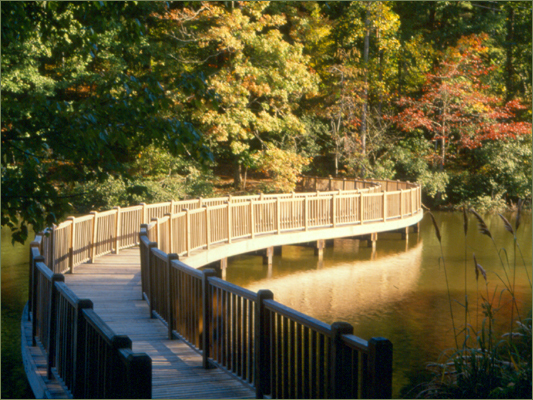 Scenic pedestrian trails around the 13-acre lake link all major buildings and provide recreation opportunities for the employees during the week and on weekends when the facility is often used for family picnics.